In the Network Manager, click the module you want to add color to or edit the color of. Click the ellipses button next to Colormap. 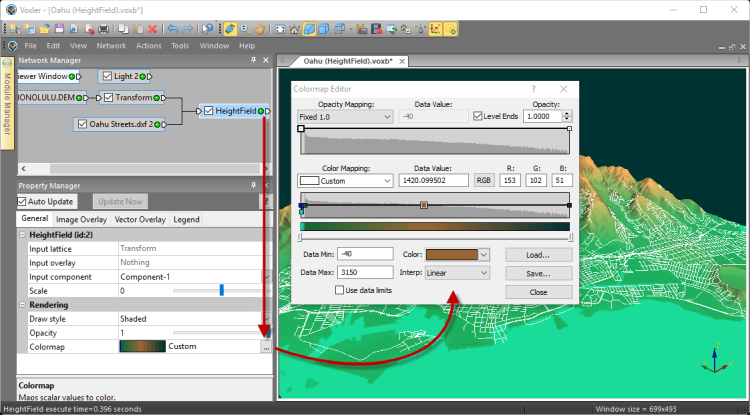 Make any desired changes to a colormap inside of the Colormap Editor and then click OK.